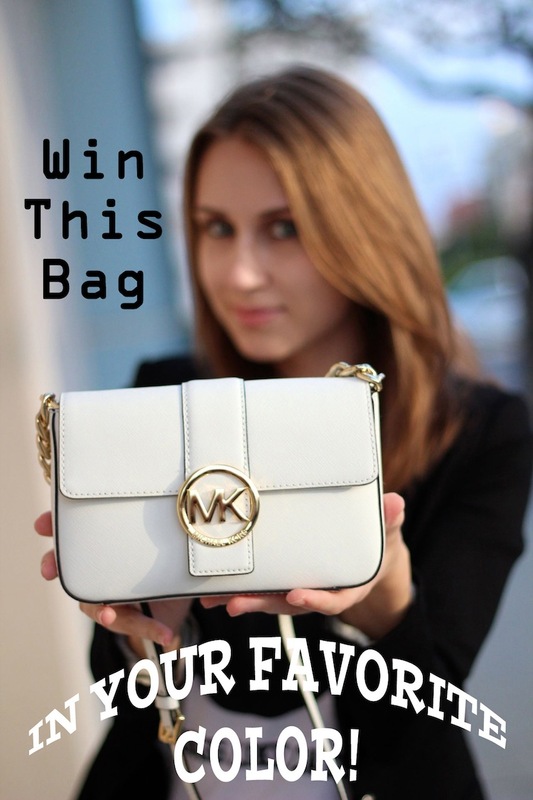 LA by Diana - Personal Style blog by Diana Marks: Michael Kors Bag Giveaway! this is great!! I always wanted this bag! I really hope I can win it! Tu bolso me ha enamorado!!! Es precioso!!! Ah love the bag .. sadly i dont have facebook!. goodluck to the others:)! It will be my pleasure to participate. I like the white one the most. I'll be very happy to have it! Thanks for letting me in on this giveaway! I've followed you on bloglovin and Facebook! I definitely love the pink and neon yellow ones! Thanks for inviting me to take part in this giveaway! Love the yellow bag and did everything you requested. Yesterday I watched those bags! Congrats on the blogaversary, Diana! And what a FABULOUS giveaway! YAY! It's also awesome that you've made it international!!! I ADORE the yellow Michael Kors bag - I've recently started to wear yellow and I'd love a yellow handbag to go with my new clothes! I love it in white like yours, so chic and glamorous! Great giveaway :) I love the white one too! 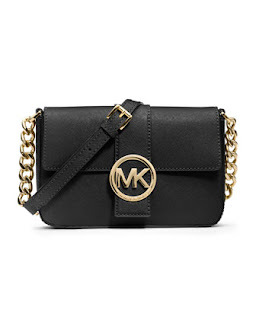 oh I would love to win, I've always wanted a MK bag :) if I won, I would love to receive the black one - it would fit me perfectly! this is such a awesome giveaway, the bag is so freaking adorable! I'd like the white one! We want to participate!!! We are inatrendytown@gmail.com and Vanessa Lorente in fb. Nice bag. I like white color of it more. My e-mail is irinavsl@gmail.com. Thanks. Hi, you have a lovely blog! Hi Diana, I unfortunately don't use Facebook or have an account. I'm following you on Twitter & Bloglovin'. Fab giveaway and fingers crossed. Happy Friday! I'd love the black bag. hey darling! congrats for this amazing giveway! I would love the classic black one! and your look is amazing! The bag it's absolutely great ! Love the white one ! Your blog is fabulous Diana!!! Congrats on your one year, that is wonderful and so exciting! 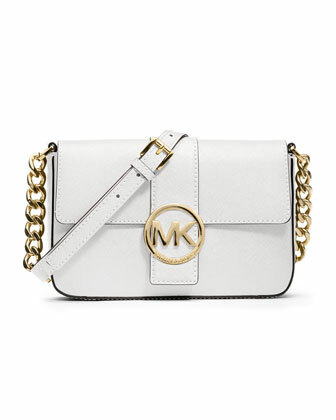 The MK is so cute and co chic!! I adore it in white.. Thanks for the invite - following you! Forgot to say - love the black one ! Thanks! And yes, white is the perfect one! I can't really decide what colour I like the most! I really like the yellow & white one. Okay, I'll go for the white one! Thank u for your personal invitation Diana :) Love your blog! Really hope I wins this bag ;) I'd like the black one. Thank you so much for inviting me to participate. I already follow you on bloglovin and i liked your post...and i liked your facebook page! I would like to win the black one...it's gorgeous!!! Hi! Who wouldn't want to wear this bag? Please, count me in! Follower on fb and bloglovin, and I've liked the post on bloglovin. Thank you! Oops, I forgot! My favourite colour = black! Thanks! Firstly, your look is elegant and fabulous!!! This is such a big giveaway! All steps done and I will love to win the black one. Fingers crossed and random please pick me!!! You look amazig I love the bag!!!! My favourite is the black bag!!!! Yay, great! My fav is the black one! Great giveawa!y! My favourite is definitely the black one. Much love! I am actually an avid reader even without these followings, I just really like your snaps. great giveaway. I love the white one. I like the color pink bag! Как быстро пролетел год вместе с тобой, твоими великолепными фотографиями и сюжетами из ЛА! Это всегда так красиво и увлекательно, что каждый раз ждешь с большим нетерпением! Надеюсь и дальше будешь радовать, знакомить с новыми местами и посылать позитив всем твоим поклонникам! Твой образ, как всегда восторг и красота! А сумка Michael Kors - это мечта каждой девушки! С любовью и наилучшими пожеланиями, творческих успехов! A classic black never fails for any outfit! It's also my favorite color! Thanks so much for the giveaway and Congratulations!!!! I'd absolutely love the white one!! Amazing giveaway! I would absolutely LOVE to win the black bag! Amazing love this giveaway, done all the steps, I love the black one! Oh wow! I don't own anything remotely as gorgeous as that bag. White please! (hard choice too, since all the colours look fantastic. I think white would be the most versatile). Twitter: @hicklory and email: gcatherinev@gmail.com. LOVE your blog by the way. I wish I was as stylish as you. First, I do love your outfit, it looks so fresh and cool! Thanks for the opportunity to win this bag, it would be amazing in white colour! I just followed you on Bloglovin (Angelina Stroumpouli) and liked you on facebook (Just Angelina). I'm wishing you the best for your blog! I really love this giveaway!i prefrer the black one! Great giveaway!! ♥ Love the black one. Congrats on it being over an year and thanks very much for the giveway. I like the yellow one alot. Such a cute bag! I'd love to win the white one! Beautiful!!! The black is the one i want!!! It's amazing that you've manage to turn what you love into your dream job! The bag is adorable, I think yellow would be the perfect color for summer! I don't have luck in such games, but... I REALLY DREAM ABOUT THIS BAG *____* so I'm trying to win the black or pink one. It doesn't matter what colour I get, if you pick me up of course..
Love the pink one, it is so amazing. But the white one is also beautiful. Thank you for the giveaway and for being so amazing and fashionable. Such an inspiration. Lovelovelove! Such a great giveaway! I liked the post on bloglovin' and you on FB! I can't decide, but I think I would want it in pink! What a fabulous giveaway. Thanks! Totally I love the yellow one. Thank you for the awesome giveaway!I liked the post on bloglovin and have followed you there. Also liked your FB page. I love the black bag especially. thanks for the giveaway! I love this! I would love a white one!! What a fabulous giveaway! I would be so excited to win this! :) I would definitely pick the gorgeous pink one! Love the bag! I want the yellow bag! I will be on holiday on 1st July but it would be amazing to come back to a tweet saying I've won this. 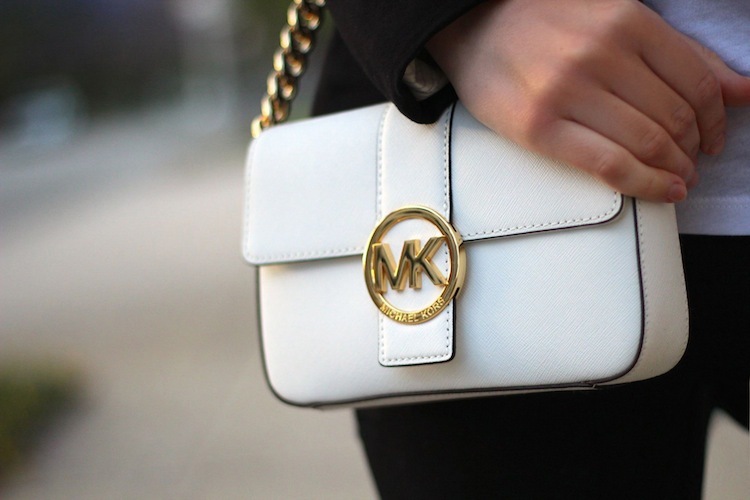 Love, love, love Michael Kors! 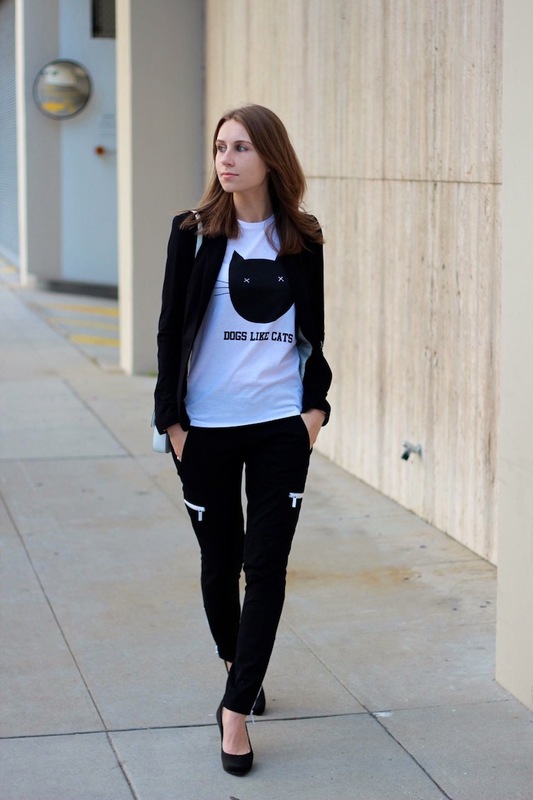 And this outfit you've styled is tres chic. So I think I will take inspiration from you and choose the white one. Monochrome is the way forward. I follow in bloglovin' and all! I followed you on Bloglovin & Facebook. I alos liked this giveaway post on Bloglovin. I would love to win this bag in WHITE! It's beautiful, clean, classic & perfect for pairing with just about anything. 💗Love thr pink one! It's tv perfect little accessory to tote around in summer! Thanks for the personal invite for this event by the way! I also Like your page on Facebook! OMG what an absolutely amazing giveaway. Thank you SO MUCH for this super amazing opportunity!!! 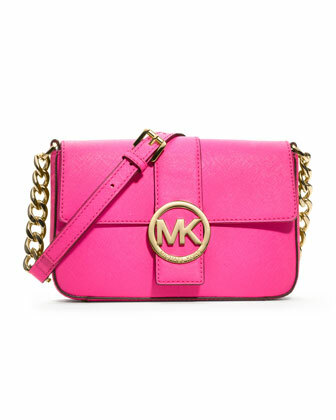 I would definitely choose the gorgeous bubblegum pink MK purse!!! Красивый outfit и чудесная сумочка для giveaway! Я выполнила все пункты, и буду рада принять участие в этом конкурсе. Мне очень понравился эта сумка в черном цвете, буду безумно рада ее выиграть. I would love to get the black bag!! Enter me! I would love a white one! 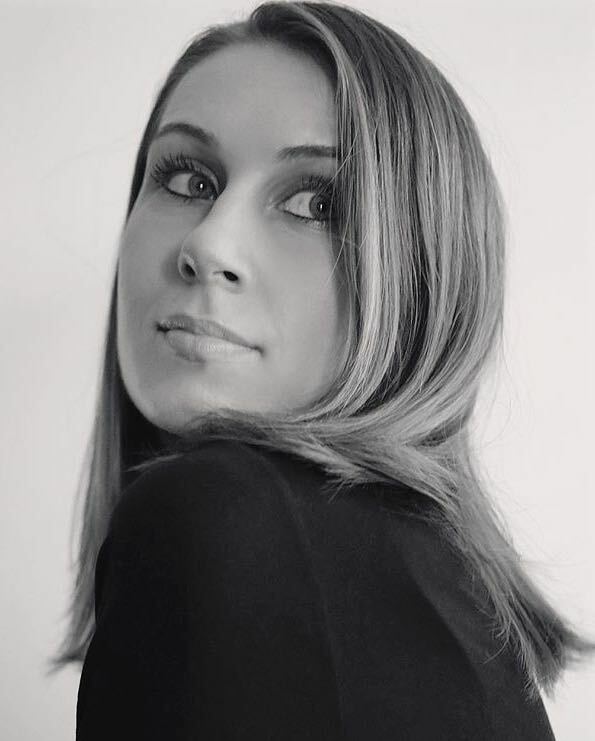 I already follow you on Bloglovin' (as lauralilyjewelry@live.com) and liked the post. and my favorite color of this bag is the white one you are wearing. My fingers are crossed! Hope I win! amazing giveaway!! !your blog is one of my favourites!thank you for the chance participating! Lovely bags! Enter me please! 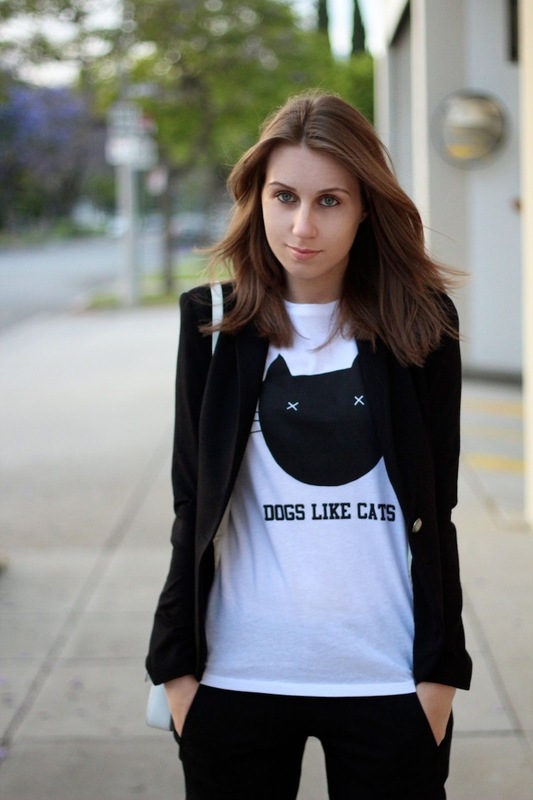 i like your tee! A little morbid but still cute! I would love to get the white bag!! I'm partial to the black! Congratulations on keeping up with your blog! I started a blog awhile ago, but I haven't been keep up with posting. You have definitely inspired me to continue with my blog! I love the white purse! I would absolutely love to win! I am following you on BlogLovin and Facebook! I am following you on Facebook and BlogLovin'! I would absolutely love to win the black Michael Kors bag!! Thanks for the opportunity! I would like to win the black bag. Done all the steps you asked. Awesome giveaway! Thanks for letting me know in the e-mail. Nice choice in your post inspired me as well! I entered my comment on your FB page, but I'm not sure if I was supposed to comment here.. Anyway, thanks for the personal invitation again! I like the yellow or pink. I like on fb and on bloglovin!